Solar panels are usually installed on rooftops at a certain angle, preventing them from absorbing the maximum amount of solar energy during different times of the day. Even if there are sun tracking solar panels on the market right now, these are still very costly and contain complex mechanical parts that can be complicated to maintain. Its tilted design also does not work on majority of pitched rooftop systems. However, a team of researchers from the University of Michigan has apparently developed a solution for solar cells to efficiently track the sun's angle and capture the most maximum amount of solar energy than other models. Lead researcher Aaron Lamoureux of the University of Michigan and his team used the Japanese art of Kirigami as an inspiration to develop a unique, lightweight design of the solar cells, absorbing significantly more solar energy. Kirigami is another variation of origami, the Japanese art of folding and cutting paper into intricate designs. Researchers used a certain technique to cut solar cells in specific kirigami designs to allow for more effective tracking of the sun without tilting the entire solar panel. They used lattice structures that can contract while they follow the sunlight's movement throughout the course of the day. The design concept involves stretching and twisting the plastic sheet of solar cells in sync to the sun's angle in the sky. Researchers explain this unique solar cell design where the structure can morph in every manner that prevents each strip from casting shadows onto other cells. This wavy design appears sleek and intricate but it will still perform at its best level, not compromising function, researchers claim. The team already tested the kirigami solar panel on a solar panel farm in Arizona and results show that the kirigami generated 36 percent more photovolatic energy than regular solar panels. 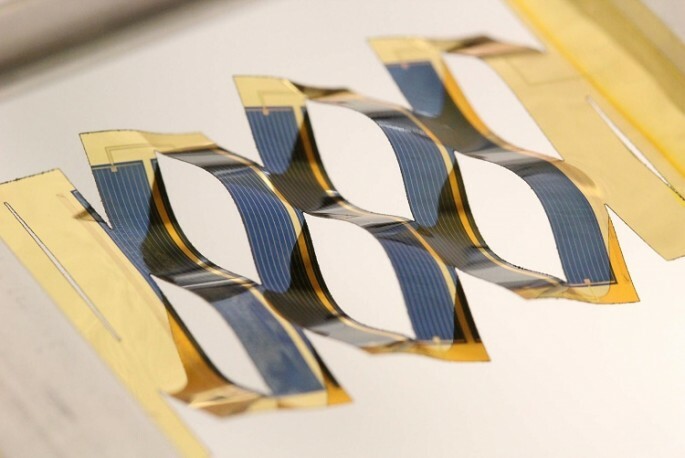 Kirigami solar panels are also just as effective in tracking the sun's solar rays as traditional solar tracking panels. Not only that, these kirigami panels also weighs only a tenth of regular solar trackers, making them ideal for home use. Researchers believe that these solar panels can reduce the cost of electricity by generating more solar energy at home. This new study is published in the journal, Nature Communications.